I would like to thank the PBA for assisting me in my recent case. You were very prompt in retaining my legal assistance in this matter. Mr. Charles Halbert of West Helena, AR did an excellent job. I truly believe that without the PBA, I would have had to spend a huge amount of money to defend myself against the frivolous allegations. Dear PBA: I would like to thank the PBA for assisting me in my recent case. You were very prompt in retaining my legal assistance in this matter. Mr. Charles Halbert of West Helena, AR did an excellent job. I truly believe that without the PBA, I would have had to spend a huge amount of money to defend myself against the frivolous allegations. 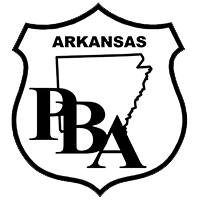 The Police Benevolent Foundation, Inc. and the Arkansas Division of the Southern States PBA are rallying behind the family of Atkins police officer Dolphus Schmelzla who died from injuries he sustained in a motor vehicle accident while on his way to work on Thursday, August 29, 2013. The Police Benevolent Foundation, Inc. and the Arkansas Division of the Southern States PBA are in mourning as one of their own, Sheriff Cody Carpenter of the Scott County Sheriff's Office, died while trying to save two women from rising flood waters. Sheriff Carpenter paid the ultimate sacrifice, and it is with a heavy heart that the PBF asks for the help of the community, both locally and nationally, to aid in their efforts to provide much needed support for this hero's beneficiaries in their time of need.